Looking for private in-home or in-studio Tuba lessons? Our Dorchester Center teachers are ready to get you started. Find your teacher today! 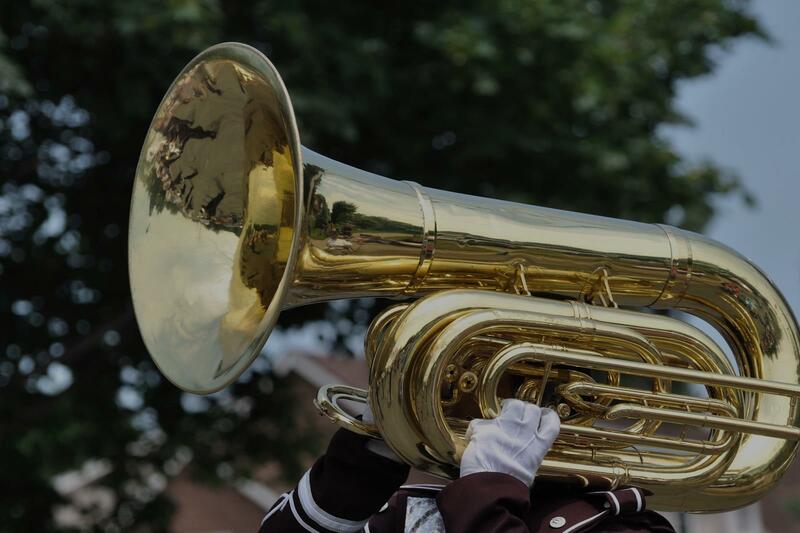 The largest and lowest-pitched musical instrument in the brass family. Like all brass instruments, sound is produced by moving air past the lips, causing them to vibrate or "buzz" into a large cupped mouthpiece. I begin teaching from the beginning with the very basics of breathing, embouchure, fingerings, reading, notes, rhythms, songs, scales, theory and improvisation. Hi my name is Mitchel Wong and I'm a bass trombonist, as well as tenor trombone, euphonium, and tuba. Currently I am a freelance composer and sound designer for video games, as well as freelance player and private teacher. I To me, I love forming the close relationships with students in 1 on 1 lessons and seeing them grow and progress throughout their musical careers. Please feel free to contact me over email! I get a lot of spam callers, so if you first try and contact me over the phone, I might mistake it for a spam caller!